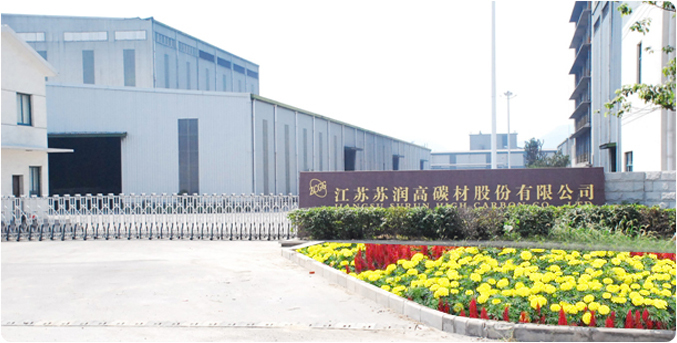 Jiangsu surung High-carbon Co., Ltd.
Jiangsu Surun High Carbon Co.,ltd , a holding subsidiary company of ZCGG, is the largest special coke manufacturer, who owns the joint venture company ― Sinochem Zhenjiang Coking Co.,ltd. We located on the bank of Yantze river, in Dantu Economic Developent Zone, Yangtze River and Riverside High Road to the north, No.312 national high way to the south, which makes us enjoying a very convenient traffic .Major facilities: 192 shaft kilns, 8 High-purity graphitized furances, 2 carbon-processing production lines, 2 X 60 slots INDK43 �C 99D single thermal coke ovens and some high technical facilities and systems including a production recovery system, a waste treatment system and a gas purification system which support the coking system. As the National Hi-tech Enterprise, we have the leading technical skills, unique brand adventure and a strong sales network, the annual output is 750,000 tons all sorts of special coke, 40,000 tons hi-purity graphitized coke,40,000 tons carburant. 6 of our production are awarded as the National Hi-tech product, 9 of the them as the Provincial Hi-tech product, 5 as the National Torch program and Key Torch program, 3 as the Jiangsu Provincial Torch program, and the Hi-purity graphitized coke is our self-developed hi-tech product, which wins the 2nd of Jiangsu Provincial Progress Award and National key new product, the oven-produced calcined coke achieved the National Invention Patent. Many of our products not only filled the blank of the domestic market, win the technical progress award in provincial and country class, also stay at the international advanced level. Our customs come from all parts of the world, like: U.S.A, Canada, Australia, France, Japan, Indonesia, Germany, India, Iran, Russia etc. We have found a solid and stable trade relation shipment with the world aluminum companies, chemicel multinationals, most importantly we have successfully created the “ZCGG” brand, and a annual growth of the exports and the foreign exchange earnings.